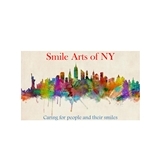 Smile Arts of NY (New York) - Book Appointment Online! We believe in treating people, not just teeth. A beautiful smile begins with healthy teeth. Dr. Eva Chen and her staff are at the forefront of cosmetic and implant dentistry. We have a patient-friendly philosophy, which focuses on aesthetics, youthful appearances and a commitment to total oral health. By incorporating advanced technology with meticulous compassion, and pain-free dentistry we offer our patients the smiles they have always dreamed of. Our practice philosophy puts Preventive dentistry at the forefront. Dr. Chen believes, “an ounce of prevention is always better than the cure.” Patients who regularly visit our office for their scheduled dental exam and teeth cleaning rarely require any dental work. With digital x-rays we can diagnose cavities before they fully form and advise patients on which measures they can take to reverse the damage. We can almost guarantee our patients will be free of cavities and gum disease when they follow-up with routine dental visits. Dr. Chen is very communicative, very friendly and super considerate. Awesome Dentist.